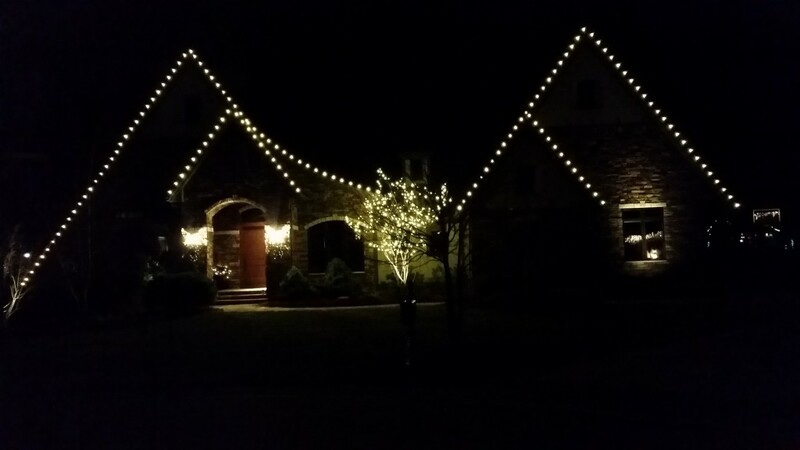 Many people think that hiring a company to professionally install Christmas lights will cost a significant amount of money. While that may be true for some clients, others may spend around $500 a year. Clients that spend toward the lower end still have an elegant and festive Christmas light display. Here are some of our favorite Christmas light decorations ideas for the savvy client. 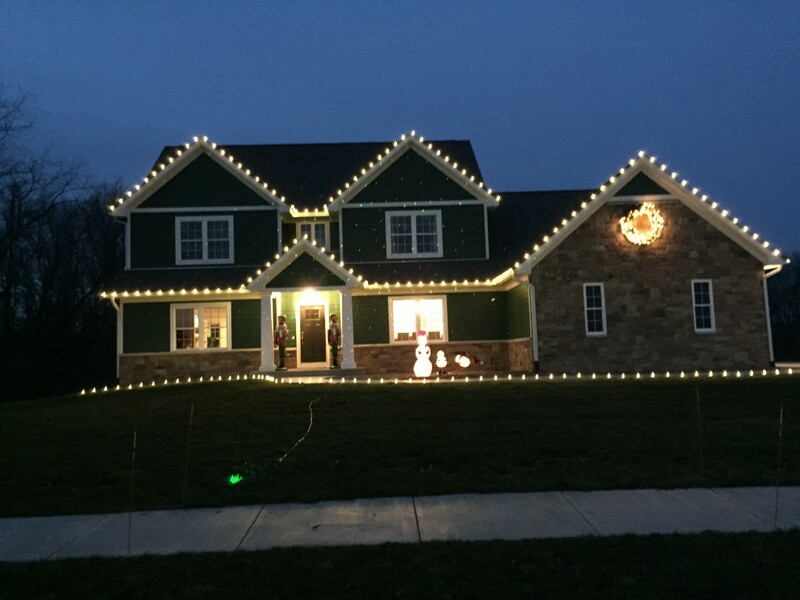 Roof lines are the most popular LED Christmas decoration component that we install. Some clients opt to light nearly every roof line, while others may light only the gables, dormers, or entryways. Depending on the length of the the chosen lines will determine the price of your Christmas light display. On average, lighting your roof lines may be around $500, after the first year. Maybe roof lines aren’t your thing or maybe you have a very unique tree you want to showcase. Lighting trees and shrubs is our second most popular LED Christmas lighting decoration. An ornamental tree (Dogwood, Serviceberry, etc. ), whether it be the trunk, canopy, or both; make for the perfect frame for Christmas lights. Shrubs, specifically evergreen shrubs, are another great area to focus on. Like roof lines, the price will be determined by how large or small of a tree you have. Greenery is typically the most overlooked Christmas light decoration component. Our greenery is pre-lit so no need to worry about adding in the cost of lights. Wreaths compliment a door perfectly, and add that final touch to a gable. They come in different sizes, but the 36″ and 48″ are the most popular. Another great greenery component is garland. 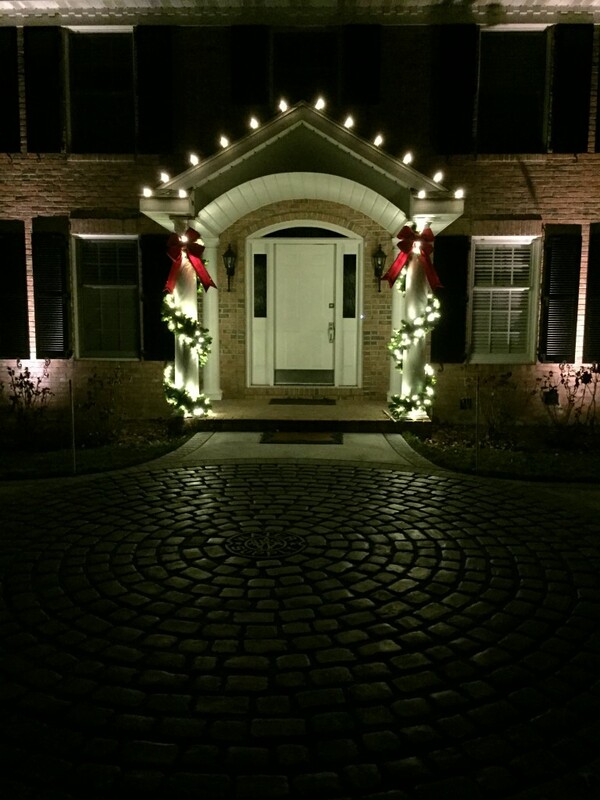 Many of our clients have their entryway posts wrapped with lighted garland for that festive welcoming look. Whether you choose to light only specific roof lines or an entryway, focus on trees and shrubs, or only desire greenery, the Christmas light decoration ideas are endless. If you are having trouble deciding what to do this year for Christmas lights, or maybe just tired of putting the lights up and taking them down, we would be happy to help make your Christmas season easier.